However, inside of bankruptcy things are little different. When you file a personal bankruptcy and are the owner of a corporation or limited liability company, the debts of the business are still not the debts of the owner and vice versa. What is different is that the assets of the business will be considered the assets of the owner for bankruptcy purposes. Whether the business assets are safe will depend on whether you file a Chapter 7 or a Chapter 13 Bankruptcy and whether the business has any assets. If the business does not have any assets, then the business should not be affected by the owner filing a personal bankruptcy, regardless of which bankruptcy chapter is being filed. Things can get a lot more difficult if your business has assets. For example, if you own an LLC and are filing a personal Chapter 7 bankruptcy, then a Chapter 7 Bankruptcy is a strict liquidation of your assets. Let’s say that the only asset your LLC owns is medical equipment worth around $20,000 on the day you file your personal Chapter 7. Therefore, your LLC is worth around $20,000, and this is considered your asset. Since there is not a bankruptcy exemption that would allow you to protect all of the medical equipment, the medical equipment will be considered an asset of your bankruptcy estate. What this means is that your Trustee will want to sell the medical equipment and distribute the proceeds to your creditors. However, if your LLC is a multi-member LLC it is more difficult for the Trustee to take the assets of the LLC. Since there is no guarantee that even the assets of a multi-member LLC would be safe in a Chapter 7 Bankruptcy, the safer route is to file a Chapter 13 Bankruptcy. A Chapter 13 Bankruptcy is a reorganization of your debt, which requires you to make payments to the Trustee monthly for three to five years. The payments comprise of as much as is practical from your monthly income, which is then distributed to your creditors. In a Chapter 13, your small business, whether it be a corporation, LLC, multi-member LLC or sole proprietorship, will be virtually unaffected by your personal bankruptcy other than the fact that the income you receive from the business will be used when determining your Chapter 13 Plan payments. If you are contemplating filing a personal bankruptcy and are a small business owner, is it always a good idea to first speak with an experienced bankruptcy attorney. Understanding the effects of bankruptcy on your small business before filing will help you decide which course of action is best for you. 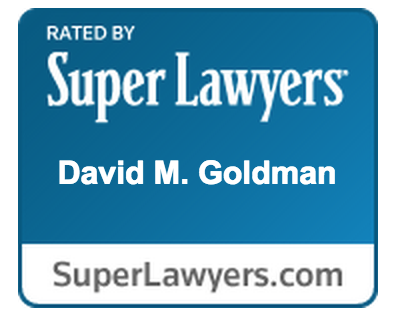 Contact the Law Office of David M. Goldman, PLLC today at (904) 685-1200.